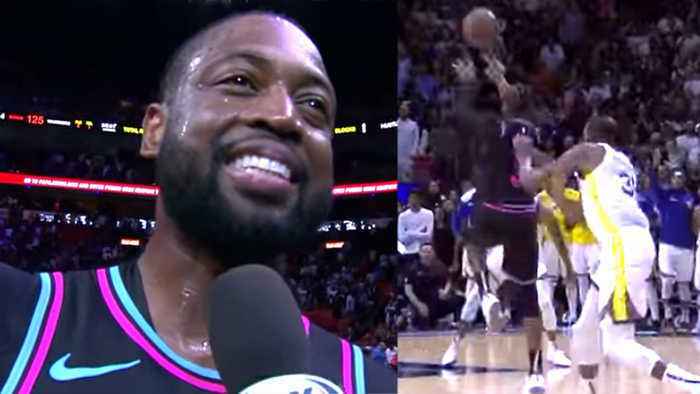 One News Page > News Videos > Dwyane Wade Thanks Kobe Bryant For INSANE Game Winning 3 Against Warriors! 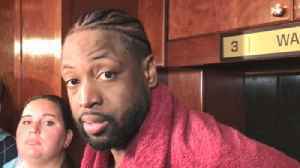 Basketball fans and players plea for Miami heat baller Dwyane Wade to not retire after he makes an insane 1 legged 3 point buzzer beater to win the game against the number 1 team in the western conference the golden state warriors. 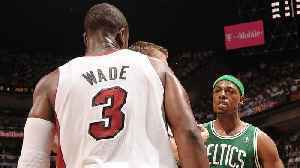 D Wade doesn't seem like he will end his one last dance tour but he did have someone to thank after making the insane game winning shot...Kobe Bryant. 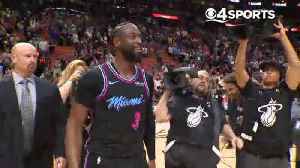 Heat's Dwyane Wade sinks Warriors with miraculous buzzer-beating 3-pointer, credits Kobe Bryant after game Wade hits an improbable game-winning 3 against the Warriors, then thanks Kobe afterward for..
Dwyane Wade on his dramatic game winner against the Warriors.